Manchester United were defeated 1-0 by Barcelona during the first-leg of their quarter-final Champions League tie at Old Trafford. A Luke Shaw own-goal was the only thing that separated the two sides, and it was the sort of loss that flatters the winning team. Barca weren’t the threat they normally are in Europe, with the side’s midfield nullified thoroughly by United. Ole Gunnar Solskjaer will be gutted by his team’s incapability to score a goal as well as having conceded the away-goal. Then again, with last month’s PSG heroics still fresh in the minds of the players and supporters, they will certainly feel like they can do anything in the away leg. 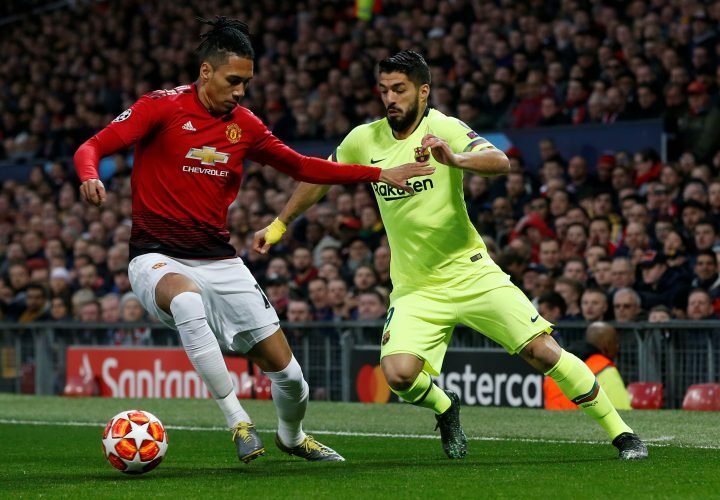 Chris Smalling was charged with the all-important duty of containing Lionel Messi during the game, and the English defender fulfilled his task quite well, notching one of the finest performances of this season. One encounter between him and the Argentinian, in particular, ended with Messi nursing a bloody cut on his face, a result of an accidental brushing of Smalling’s hand. Speaking after the game, the defender had this to say about the encounter, and also commented on the physicality of the United side: “I think it [the challenge] came when we were right on the front foot. “We had to bring the intensity they’re not used to every week and there’s a lot to play for in the second leg. We pressed them high and made it difficult. It’s a shame we couldn’t get the goal.